Elshcon Nigeria Limited (ENL), an integrated indigenous group of companies operating in the energy and maritime sectors with focus on value, client satisfaction and retention recently joined the league of very few Nigerian companies to successfully migrate from the Generally Accepted Accounting Practices (GAAP) to the more advanced International Financial Reporting Standards (IFRS). With a vision to be a leading indigenous company providing high-value technical services in pipelines & facilities construction, marine support and marine logistics operations in Nigeria, the company by this new development has aligned itself to current realities and global practices among the comity of corporate entities in the world. The growing acceptance of International Financial Reporting Standards (IFRS) as a basis for financial reporting represents a fundamental change for the global accounting profession. A major difference between GAAP and IFRS is that GAAP is rule-based, whereas IFRS is principle-based. Similarly, another difference between IFRS and GAAP is the methodology used to assess an accounting treatment. Under GAAP, the research is more focused on the literature, whereas under IFRS, the review of the facts pattern is more thorough. Trusted experts in the financial world have continued to throw weight behind the more advanced IFRS, saying that it is much more principles-based than GAAP. For IFRS, individual companies are left to their own methods to explain the differences in their financial results, and to provide supporting analysis to reconcile their results. With a principle-based framework, and as a source of globally comparable information, IFRS is of vital importance to regulators around the world, as they contribute to economic efficiency by helping investors to identify opportunities and risks across the world, thus improving capital allocation. He said the feat is a policy thrust that has formed the basis for their excellent reputation as a locally based company with global perspective; adding that with IFRS Elshcon Nigeria’s financial account can be compared globally with other companies in similar industries, unlike GAAP that is locally based. Membere-Otaji said Elshcon is a proudly Nigerian company founded in 1990. 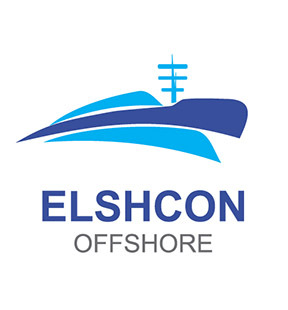 It is an integrated indigenous group of companies operating in the energy and maritime sectors with a focus on value, client satisfaction and retention, delivering solutions and services for the safe and efficient exploitation of energy and marine natural resources. Only recently the company achieved another milestone as Elshcon’s quality management system was certified as top-notch following the upgrade of its ISO certification from ISO 9001:2008 to ISO-9001:2015.